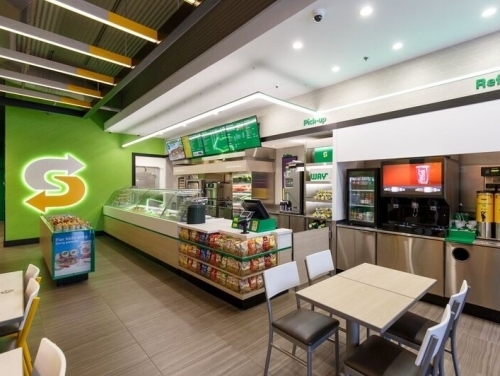 With their new sophisticated image and a fantastic new shop fit about to be rolled out Subway© are looking for suitable new stores as well as entrepreneurs willing to explore franchise opportunities with the brand. With plans to open another 21 stores across Hampshire, Sussex and the Isle of Wight in the next year SHW are appointed to seek out suitable premises for the world’s largest fast food franchise, which has nearly 45,000 outlets across 112 countries. Town Centres, Universities, Hospitals, Retail Parks, Trade Parks, etc etc. Potential franchisees should contact Subway®’s Regional Development Agent Mark Bradley on 01962 850 872. Mark Bradley said of the move: "We have ambitious plans to grow the Subway® brand across Hampshire, East Sussex, West Sussex and Isle of Wight, so I am really keen to hear from local people who are looking to fulfil their dreams of owning their own business and becoming their own boss."